West Palm Beach Mayor Keith James called for fair, affordable housing when delivering remarks at “A Symposium on Fair and Affordable Housing: A Basic Civil Right.” The event, held on April 11, 2019 in Manalapan, Florida, was hosted by Holy Ground PBC, which shelters and mentors homeless, pregnant and parenting young mothers and their children in Palm Beach County. The event’s keynote speaker was Avery Friedman, CNN legal correspondent and America’s best known civil rights lawyer and law professor. 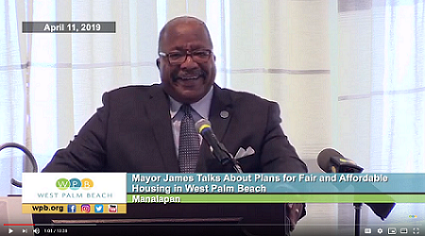 Of note, Mayor James delivered his remarks on the 51st anniversary of the Fair Housing Act which protects people from discrimination when they are renting or buying a home, getting a mortgage, seeking housing assistance, or engaging in other housing-related activities; additional protections apply to federally assisted housing. 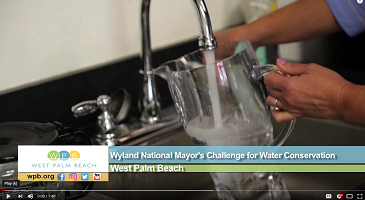 “In West Palm Beach, we are working to build a community of opportunity for all. 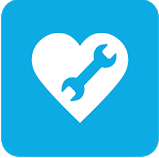 We want all of our residents to be able to lead happy, healthy fulfilling lives,” he said. In delivering his remarks, Mayor James recalled his very first home purchase in Palm Beach County in the 1980s; “whites only” was a prerequisite—albeit an illegal one-- for the purchase of his home. 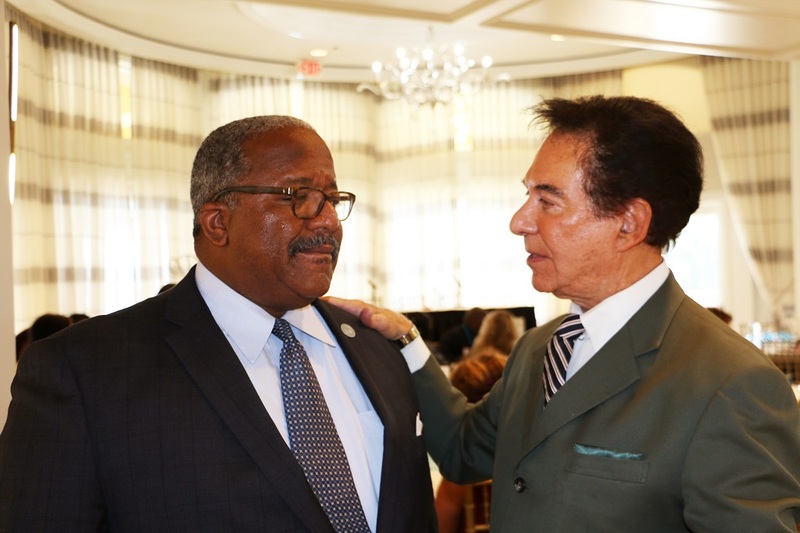 The incident made a lasting impression on Mayor James, and the memory has strengthened his resolve to ensure fair, affordable housing in the City of West Palm Beach. And many more outreach efforts. “We want our residents to achieve their true potential—no matter what their background and circumstances,” said James. 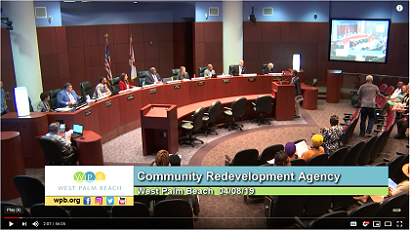 For more information on the City’s efforts to create affordable housing and address the issues of homelessness, please visit: http://wpb.org/hcd. Mayor Keith James was elected in March 12, 2019. Focused on creating a community of opportunity for all, Mayor James has a vision for West Palm Beach that is resident-driven. Mayor James is committed to creating a customer friendly culture that focuses on neighborhood initiatives, regional collaboration and community partnerships. Mayor James is the City’s first African-American “strong mayor,” whereby the Mayor is the City’s Chief Executive Officer directing the administrative structure, and the City’s fourth African-American Mayor. 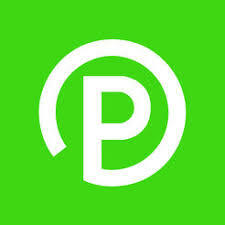 For more information about Mayor James, please visit: https://wpb.org/About/Mayor-s-Page/Mayor-s-Bio. 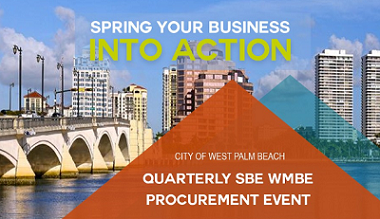 For more information about the City of West Palm Beach, please visit: https://wpb.org/. The City of West Palm Beach has been ranked as the second-best city in the nation for LGBTQ-friendly retirement destinations, according to SeniorAdvice.com which provides directories of assisted living facilities and senior care services. 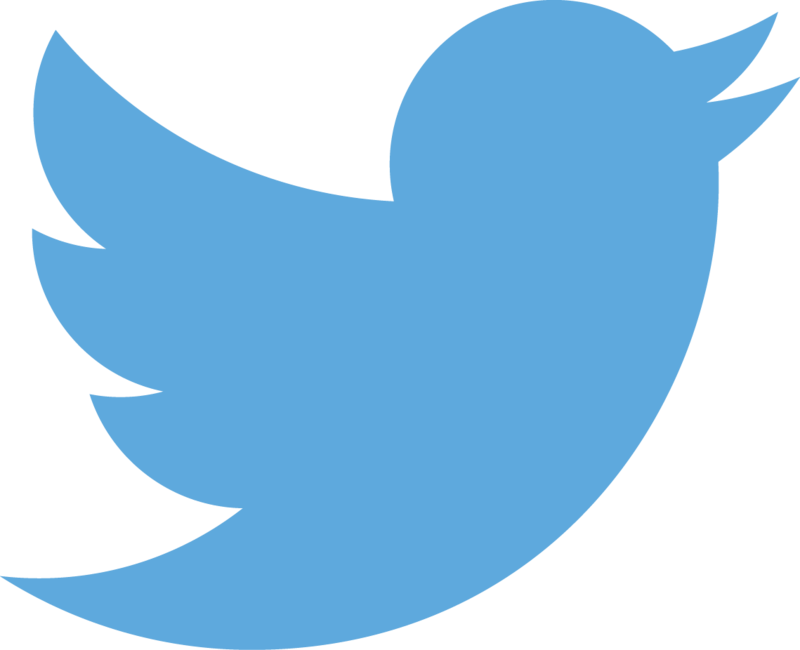 In creating its ‘Top 20’ list, the website considered multiple factors including: the percentage of LGBTQ population in the area; available social activities; festivals; weather; LGBTQ Chamber of Commerce presence; quality of healthcare; number of hospitals and pharmacies; cost of living; and general awareness of the LGBTQ community’s needs. 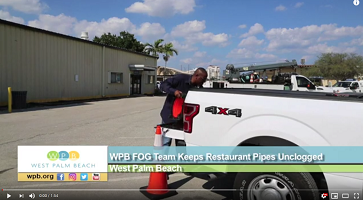 To continue reading, please visit: https://www.wpb.org/News-Video/Archive-News/West-Palm-Beach-Named-2nd-Best-City-in-U-S-for-LGB. 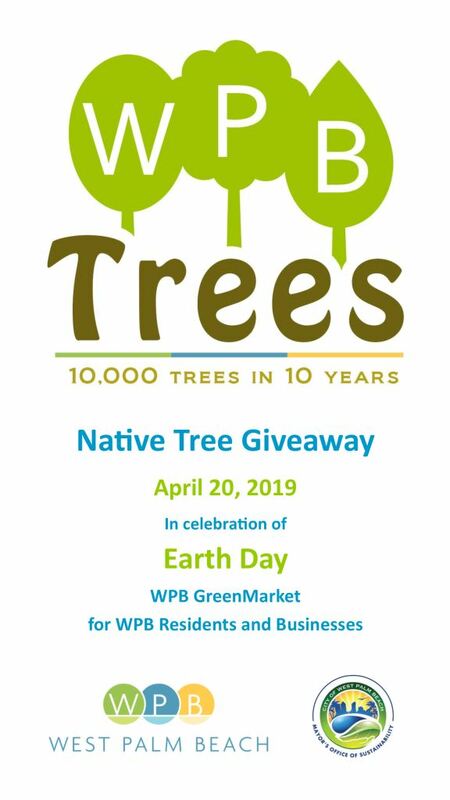 The City of West Palm Beach Department of Parks & Recreation is pleased to announce The Great American Cleanup 2019 event at the Evergreen Cemetery, located at 2825 N. Rosemary Ave, on Saturday, April 27th, from 9:00 am to 1:00 pm. Volunteers will assist with cleaning cemetery gravestones, trimming hedges and providing general maintenance of the cemetery. Please join us! In 1913 a group of seven men identified as trustees and owners had the Evergreen Cemetery laid out. Joined by four others, they formed the Evergreen Cemetery Association in 1916. For over 85 years, Evergreen Cemetery has been the final resting place of some of the city´s most influential African American citizens including Dr. T. Leroy Jefferson, the City's first African American physician; J.W. Mickens, an early educator; Henry Speed, a real estate investor; and Dr. J.R. Vickers, a physician. In 1981, the City Commission declared Evergreen Cemetery a site of local historical significance. The City acquired and assumed responsibility for Evergreen Cemetery in 1987. Due to the historical nature of the project, the City is particularly interested in having individuals and groups who are familiar with the cemetery or the surrounding area as volunteers, but no specific experience is required to volunteer. 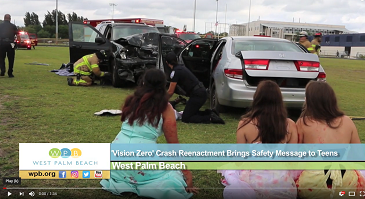 If you are interested in volunteering or you know of a group that is interested, please contact City of West Palm Beach Volunteer Coordinator Mario Arguelles at (561) 804-4938, marguelles@wpb.org. ***CWPB Offers Yard Waste Amnesty Days for Advance Hurricane Season Preparation. Yard Waste Amnesty Days allow residential customers to place large amounts of vegetation waste for weekly pickup at no charge from April 22 - May 31, 2019. *** For more information, please visit: https://www.wpb.org/News-Video/Archive-News/CWPB-OFFERS-YARD-WASTE-AMNESTY-DAYS-FOR-ADVANC-(1). 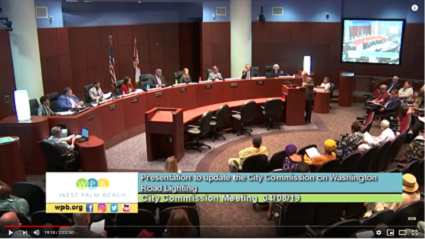 Road and Dock Closures Update: Week of April 14, 2019: https://www.wpb.org/News-Video/Archive-News/ROAD-DOCK-CLOSURES-UPDATE-WEEK-OF-APRIL-14,-2019. Have you heard the news? The Mandel Public Library of West Palm Beach is celebrating its 10th anniversary at 411 Clematis Street with a gift for patrons - FINE FORGIVENESS! For the entire month of April, the library will forgive ALL fines for overdue and lost materials. Just bring a current ID, along with any overdue items, and all fees will be waived. Come back and check out what's new at the library including our expanded digital library-with no late fees ever! April 1-30 FINE FORGIVENESS – Bring a current ID and any overdue materials and we’ll remove ALL fines! To see a full list of Mandel Public Library's April events, please visit: https://www.wpb.org/News-Video/Archive-News/MANDEL-PUBLIC-LIBRARY-EVENTS-FOR-APRIL-2019.